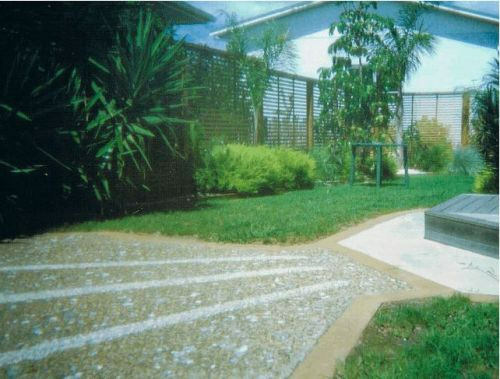 Choosing the best retaining wall in Brisbane might seem like quite the task, and given that it is an extremely important decision, it is essential that you make the same with a lot of thought. The best idea would be to call in a retaining wall expert to come and look at your space, because with their experience, they will be able to tell you which wall would be the best option and how you would want to go about installing the wall. When an expert comes to inspect the site, they will take several things into consideration, one of the first being soil conditions. If your house or site sits near a hill, then a stronger retaining wall will be required, because that will provide you with the necessary protection during strong rains or even a landslide. However, if you are using these walls to create partitions and several levels to your garden, then you could consider timber retaining walls in Brisbane. While putting in a retaining wall, it is important that you choose a material that will not only stand the test of time, but also go with the overall theme of the garden. For this, it would be best that you hire a landscaper, who will not only put in your retaining wall, but also deigns the entire landscape keeping the wall in mind. In addition, they might also have creative ideas of how to use the area between the walls in the best possible manner and how to jazz up the walls themselves! Having a space to create a garden is often a luxury for many people and if you have successfully managed to do that, you are truly lucky. However, if you need a garden clean up in north Brisbane, you will have to make sure that you hire the best, because in the hands of amateurs, your beautiful piece of land could go to absolute waste. When you hire someone like C Price Landscapes, you can be sure that the land that you want to convert into a garden will be cleared up neatly and also responsibly. Often, companies that offer clean up services for gardens, will come and do the clearing up, but they will not have a proper disposal system in place. They will either dump the waste in one corner of your own or ask you for extra money to dispose the same off. With C Price Landscapes, you can leave everything associated with garden clean ups to us and we will ensure that not only is your land clean and ready to be turned into a garden, we will also help you transform the same land into the garden of your dreams. We have a team of landscape artists, gardeners and other professionals who will not only create a blank canvas in the manner of a clean piece of land, but also fill it with the brightest and the beautiful colors, in the form of flowers, plants, trees or even a kitchen garden!